It all started in California, in 1848 when crew members working in a mill spotted a tiny gold nugget in the American River. Off the bank of the river, the crew we able to find even more small pieces in the soil. When the news hit about the find, people fall all over packed up their homes and set out for the west. Below are a few facts about the California gold rush that some might have never known. 1. Back in 1849, miners found gold deposits inside of quartz veins while is Mariposa. As of late, people still utilize the Mariposa mines. 2. During 1852, gold mining went from the American River to Greenhorn Creek, which is located in Kern County. Gold production in California went up to $81 million. 3. One of the biggest gold nuggets ever was found in 1854 at Carson Hill. The massive piece of gold weighed in at 195 pounds. 4. In 1855 river mining became the “big thing” and led to significant gold outputs until the same rivers dried up. 5. The California gold rush was pretty much done after river placers, and surface placers were cleared out. Over the next 20 years, hydraulic mines took the place of gold mines. 6. Til this day, California has still produced the most gold than any other state within the Union at the time. 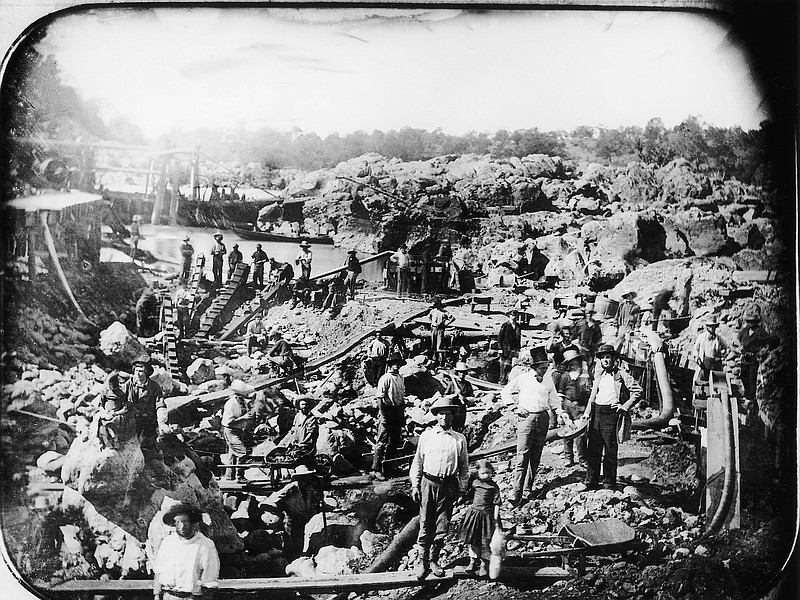 105 million ounces of gold was retrieved between 1848 and 1965. 7. Gold mines in California are currently bucket dredge mining. 8. The gold rush that occurred in California in 1848 ended up contributing to people colonizing the mountainous regions of California. People began to settle down and start families after the gold fever was over. 9. Modern mines located in Nevada currently account for 80% of gold production within the United States. Mines located in Alaska and Colorado account for the last 20%. This distinction Makes the U.S. the third-largest producer of gold worldwide.